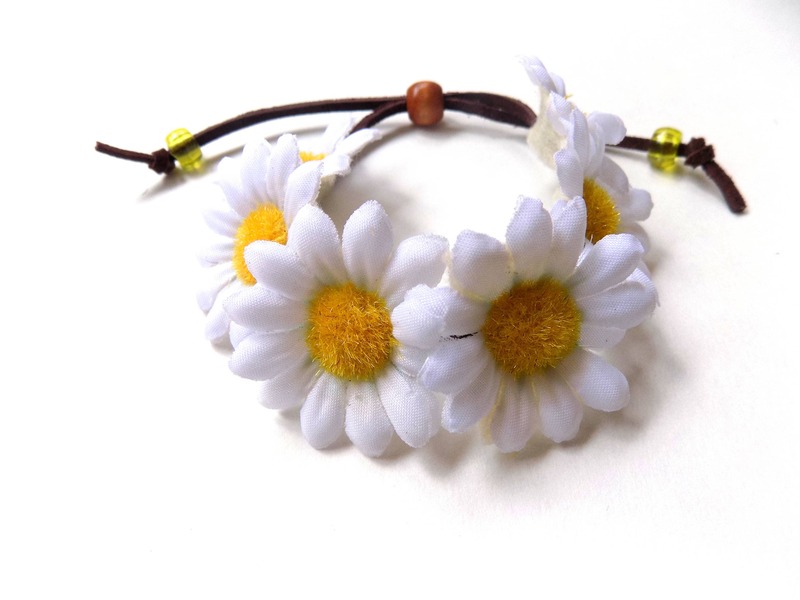 Adorable little white daisies are fastened securely to a leather wrap to make this fun hair accessory. Flowers are backed with felt for added security and comfort. 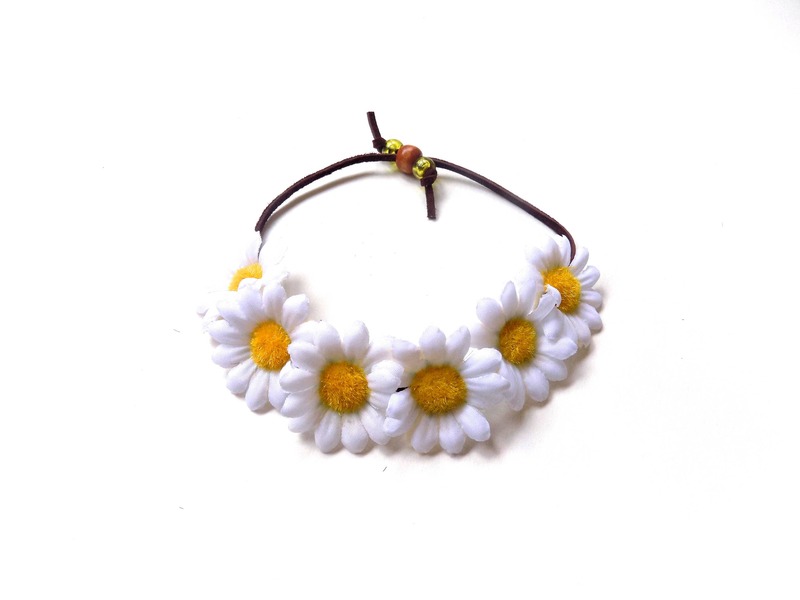 This accessory is fully adjustable and features a sliding bead closure. 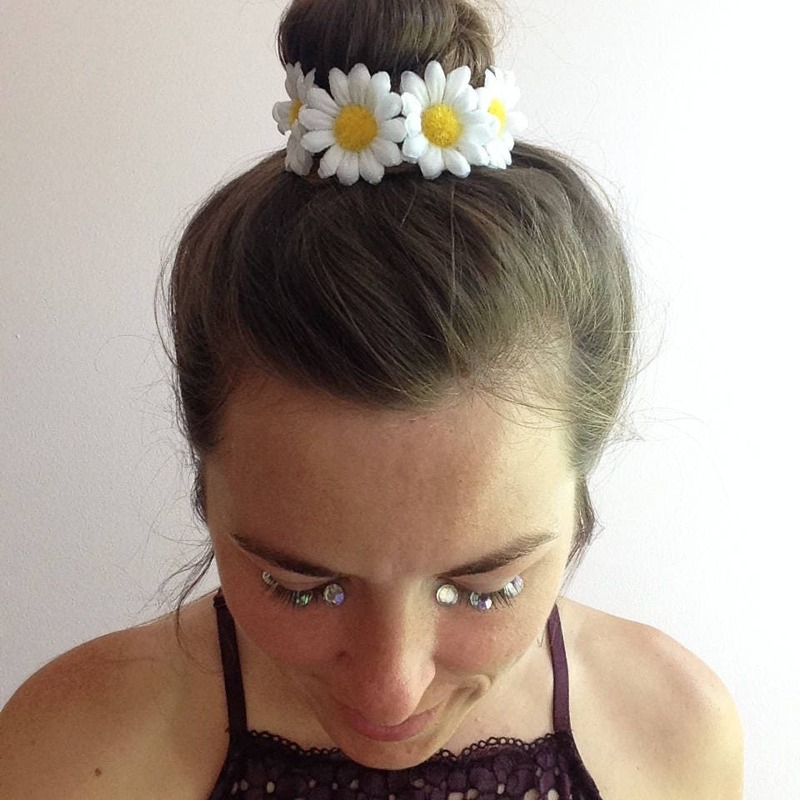 An easy way to dress up your bun or ponytail and the perfect addition to your hippie chic wardrobe! --Flowers measure 1" in diameter. 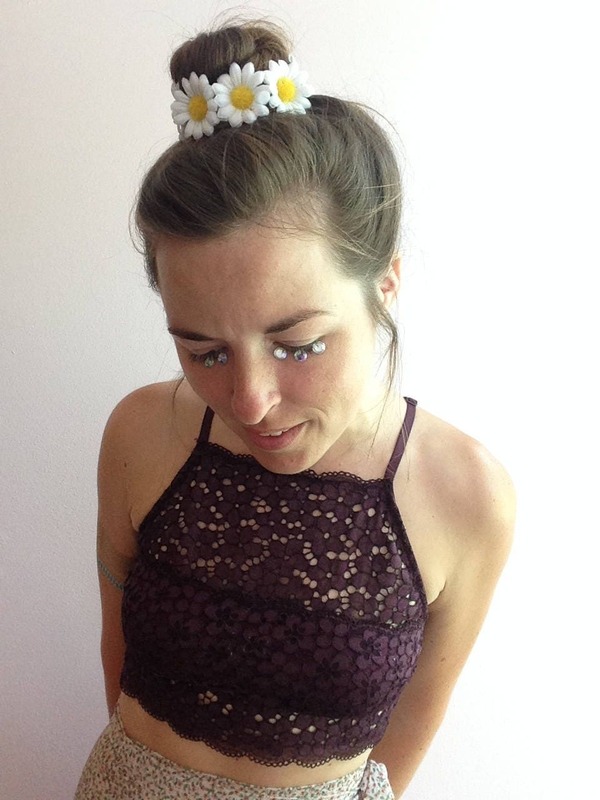 Super cute, looked exactly as I hoped! Great for the purpose I wanted it for. 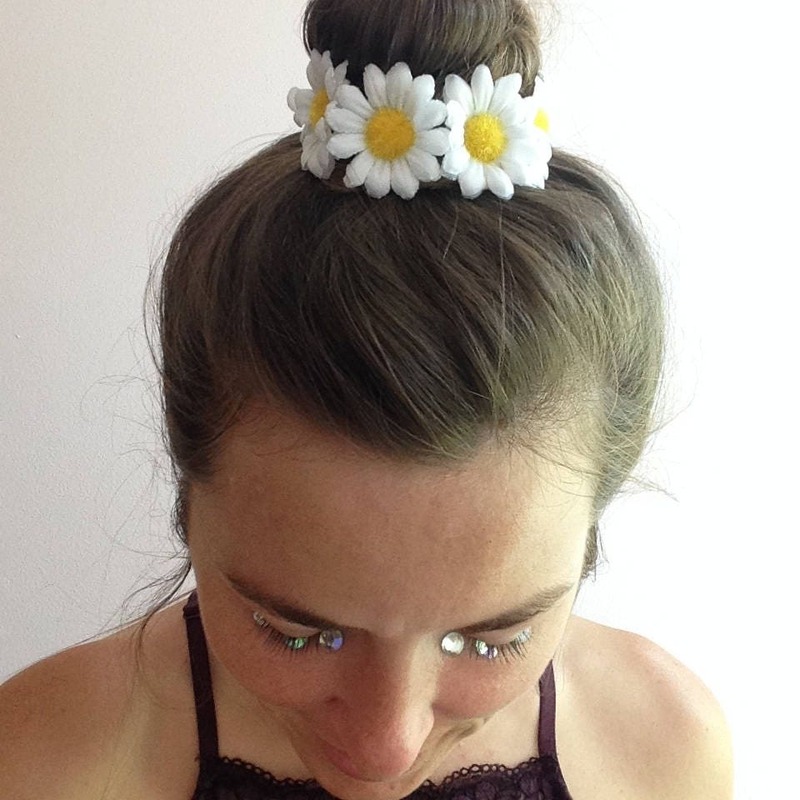 To tie around my "bun" when I'm at festivals. Great product. Thank you!